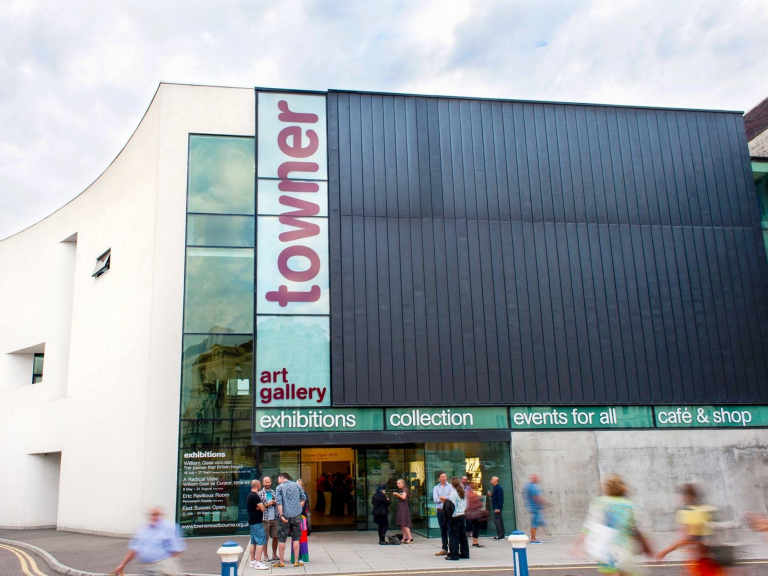 Towner: an award-winning contemporary art gallery and museum in Eastbourne. It is FREE to visit Towner in Eastbourne so why not enjoy all that Towner has to offer from learning and participation to just enjoying some of the stunning art displays. Towner is funded by Eastbourne Borough Council and Arts Council England as a National portfolio organisation (2015-18) Membership at Towner is also available for exclusive benefits. Towner presents major exhibitions of UK and international contemporary art – and as a museum, we also hold a renowned collection of art from across the centuries. Many visitors travel from London and across the South East and beyond to enjoy the range of outstanding art on offer, as well our regulars who stop by to enjoy the wonderful coffee and cake by Urban Ground at Towner – not to mention the wonderful views of the South Downs from the Café balcony. Learning and participation are at the heart of what Towner does, and if you find yourself inspired to learn more – or you'd like to have some fun by getting creative yourself – there are many different ways to get involved, from our free daily tours at 11.30am, to our family drop-in at weekends and school holidays, with art materials and resources provided free of charge in the welcome area. Towner runs a busy programme of events for all ages, from workshops, artist talks and screenings to evening events, there’s a whole host of different ways to get involved and find out more about our exhibitions. Entry to Towner is free - though donations are of course welcome to ensure that this important centre for the visual arts can remain free for all.